Saraswati Puja is right around the corner on Saturday Feb 13th @ Hoover Middle School (3501 Country Club Dr. Lakewood, CA 90712). Last day to RSVP is this Sunday Feb 7th...we will be closing the RSVP after that. We appreciate your cooperation in preventing shortage and wastage of food by sending in your RSVPs. ~ The Ankur Dube Memorial Talent Show participants have been finalized. We are excited for 2 hours of variety presented by the little stars! The show will begin at 3:30pm sharp. We ask that you be seated by 3:15 not only because we want to begin the show promptly, but because the kids have been working really hard with each of their acts to showcase their amazing repertoire. They need your support and encouragement as always. 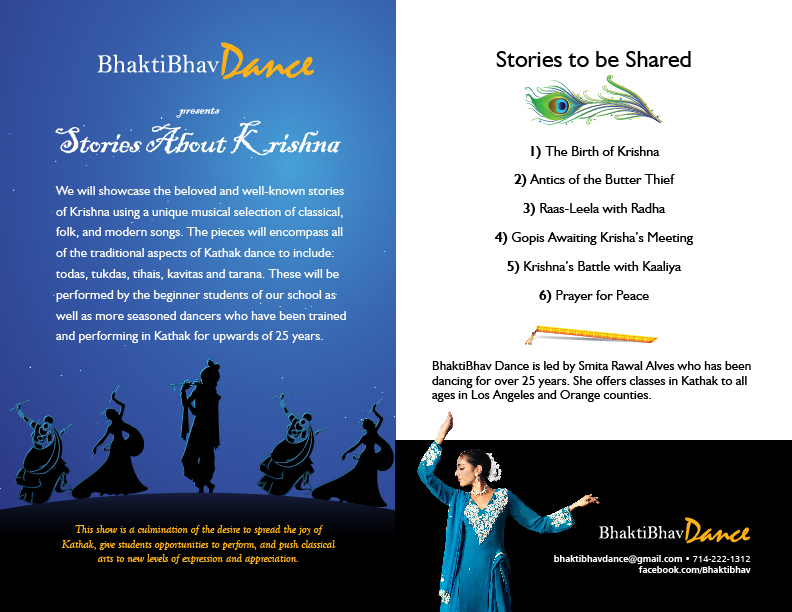 ~ Students of Bhakti Bhav Dance will perform a half hour presentation of "Stories of Krishna" at 5:45pm! You may renew your membership for April 2016-April 2017 by becoming an annual member or silver/ gold/ platinum sponsor! Dues for membership and sponsorship can also be paid at the registration booth during Saraswati Puja.